Hannah was married to a God fearing man named Elkanah. She happens to be one of two wives. We are not sure if she’s the 1st or 2nd wife but what we do know about her, is that she was a woman scorned with reproach. She was constantly mocked and looked down upon by her rival wife because she had no children. Her husband truly loved her. He hated seeing her sad and even told her that is he not worth more than 10 sons to her (v8). She constantly went to the Passover feast with her husband and other wife year on year to offer sacrifices to God. Hannah didn’t go about living in self pity or calling friends to start a pity party rather she spent her time and energy seeking the one and only true God whom she knew could change her story from barrenness to fruitfulness. She poured out her heart to God to the extent that the priest thought she was drunk but when he found out she was praying he blessed her. She made a vow to God to give him the child he gives her. 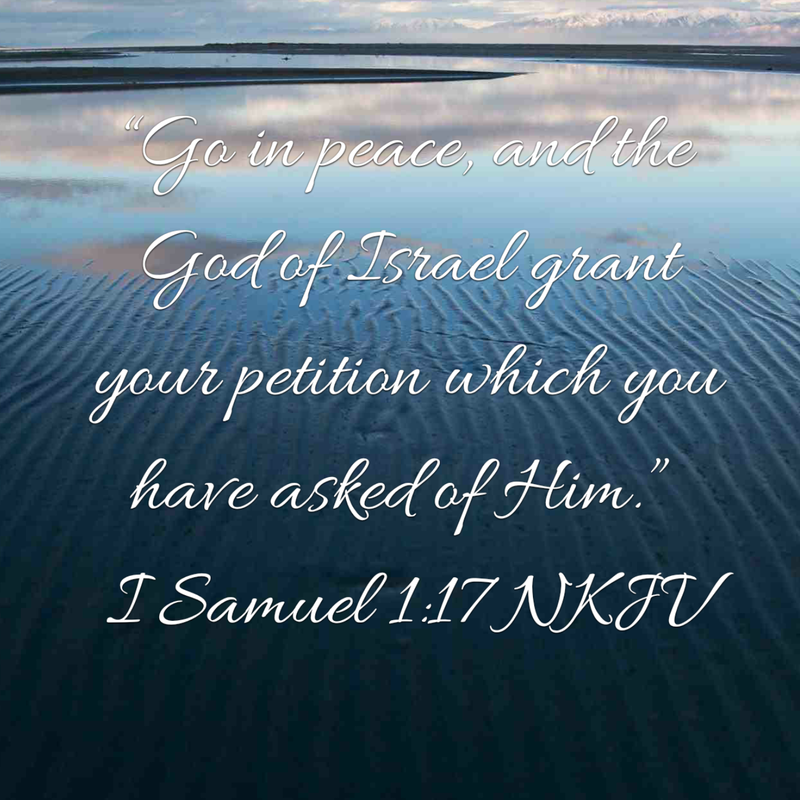 Indeed she kept her vow to God and dedicated Samuel to God. 1) We need to acknowledge Gods sovereignty over our lives – The bible says “The Lord closed her womb”. She knew God had control over everything, He could decide to keep her womb shut forever or open it whenever He pleases. that she blamed God for her situation. 3) We need to be persistent and continue in the ways of God even in the midst of adversity – Verse 3 tells us Hannah kept on going to Shiloh year after year. Hannah could have easily turned her back on God and refused to continue in the ways He commanded them just because God hasn’t answered her prayer. 4) We need to remain focused and not take offense when people misjudge or mistreat us – Hannah kept her focus on God, she refused to be distracted and didn’t take offense even when Peninnah kept taunting her about her barrenness and when Eli accused her of being drunk. Rather than take offense, she explained her situation to him which in turn resulted in Eli blessing her. 5) We can be open and honest with God regards our feelings – Hannah poured out her heart to God in prayer. “Oh no, sir!” she replied. Some of us are good at pouring out her hearts to man whose help is limited but the one who has unlimited help, we struggle to open up to Him. We pretend everything is okay…. went home happy, praising God knowing He is able to fulfill His Word. Thanks for joining today. Pls feel free to share your thots on the chapter in the comments section. Jabez : The man who refused to let his past dictate his future. Good morning blogging family 🙂 . We are still on Spring break for blogging through the bible a chapter a day. We resume on Monday 20th April with the book of Leviticus. I’m excited to see what God is going to teach us from the book so please invite people to join us as we learn. You can follow me on pinterest and Facebook . Let’s spread the good news of Jesus 🙂 God bless you as you do so. Today, I thought I’d share a short piece I did on the bible character, Jabez. His story is found in 1 Chronicles 4: 9-10. First thing I noticed about Jabez was that the writer of chronicles said he was an honorable man above his siblings. One can infer from that statement that Jabez must have been a man of uprightness, who did the right things including following the laws of Moses, a man who knew God and walked in His ways. Perhaps the pain and the issues surrounding his life made him different and drew him closer to God. Friends, don’t let your pain draw you away from God, rather let them draw you closer to Him. Prior to the prayer, we find that Jabez was a man of sorrow and great pain. Imagine every time people called his name, they were calling sorrow. Wherever he went people must have been looking at him funny, probably trying to understand why someone would be named Sorrow, but Jabez refused to let his past dictate his future. He knew there was One he could call who has the power to turn his situation around; turn his sorrow to joy; turn his disappointment to divine appointment: he called on his God – Yahweh! 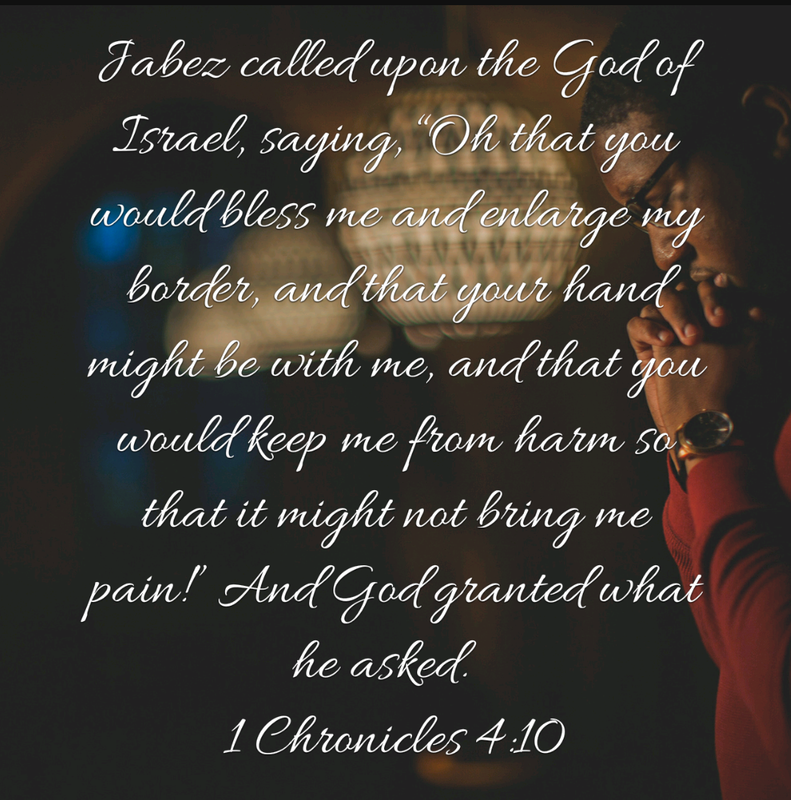 I don’t know what name they have given you, or what has transpired in your past, but I want you to learn from Jabez and turn the situation to the One who holds all power in His hands: the One who specializes in turning around impossible situations. I can’t promise you that the situation will change instantly but one thing I can guarantee you is assurance of His presence, peace and joy, even in the midst of the storm; and the knowledge that the Almighty God has your back and He has good plans for you. So Jabez cried to God. He called on God to bless him and keep him from harm that it won’t cause him pain. Basically, He was asking God to change his situation. One thing I want you to pick from this is that Jabez definitely prayed this prayer in faith. He must have believed that God was able to do that which he requested of Him and I believe it was his faith that got him God’s attention and mercy. Today lets turn to God in faith. Don’t let your past determine your future. Having a bad start in life doesn’t mean the rest of your life has to be bad. Jabez also had a bad start but he had a good ending. God is offering you a new start today. He is inviting you to let him handle the past for you. It’s not yours to deal with, it’s His. Give it over to God so you can enjoy the abundant life God has to offer you. It’s the intention of the enemy to cheat you from the good life that God has for you, so why give him that joy? Let God in and I can assure you that you won’t regret your decision.